Poochpad-Poochpants Disposable Diaper: X Small. 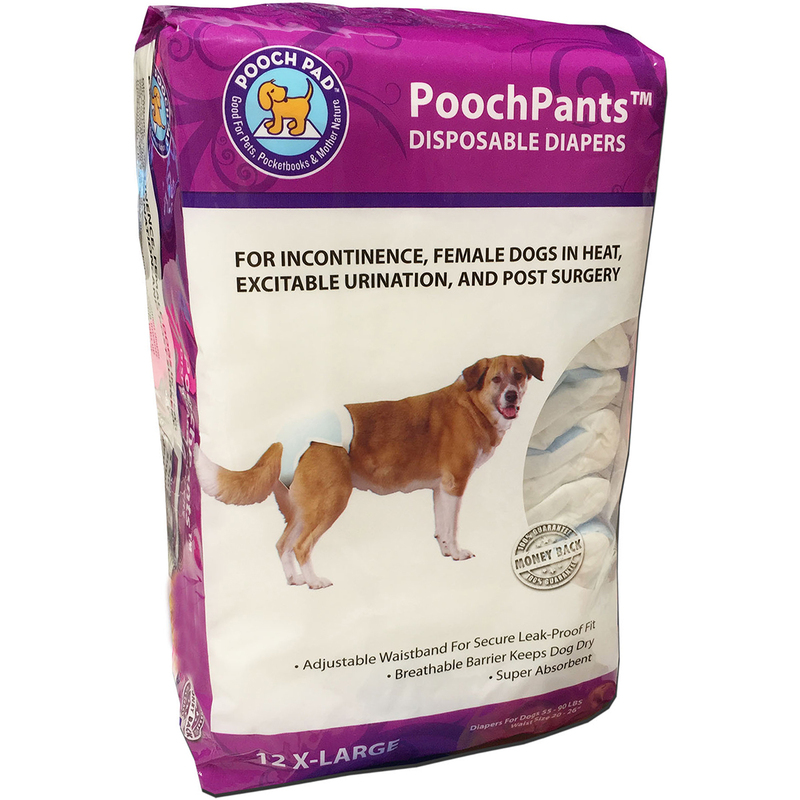 Poochpants Disposable Diapers Are Effective To Manage Incontinence, Female Dogs In Heat, Excitable Urination And Post Surgeries. These Diapers Have An Adjustable Waistband For Secure Leak-Proof Fit, With A Breathable Outer Barrier To Help Keep Dog Dry. Fits Dogs 4 To 8 Pounds And 10 To 18 Inches Around The Waist. This Package Contains Twelve X Small Disposable Diapers. Comes In A Variety Of Sizes. Each Sold Separately. Imported.